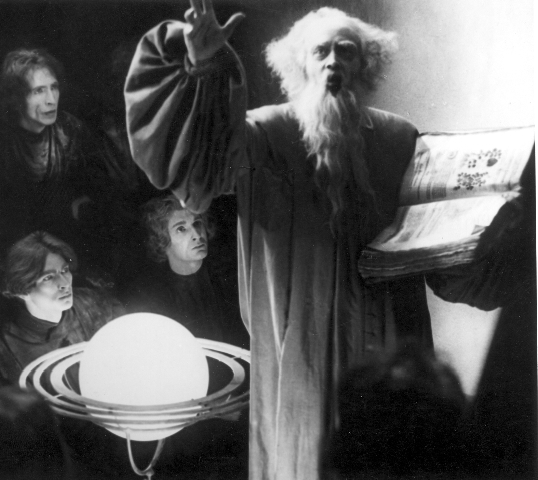 The infamous Doctor Faust, as depicted in a German film from 1926. Dig that Saturnine light fixture! What a great picture. Everything about it. That Saturnine lamp is amazing. Faust is striking the biblical pose all prphets practice to get right. He's a natural. That tome he is hold...wow. And then you have the multitude of nameless wearing dark robes that fade into the background with only their fascinated faces.